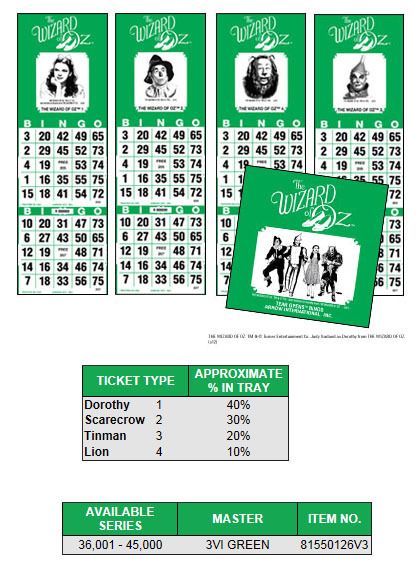 Tear-Opens > Wizard of Oz Tear-Opens | Arrow Games/Bazaar & Novelty - Helping you accomplish great things! Play along with characters from the most beloved film of all time: The Wizard of OZ™ Tear-Opens featuring Dorothy, the Scarecrow, the Tinman, and the Lion! Click to download the colourful Wizard of Oz™ Tear-Opens flyer.